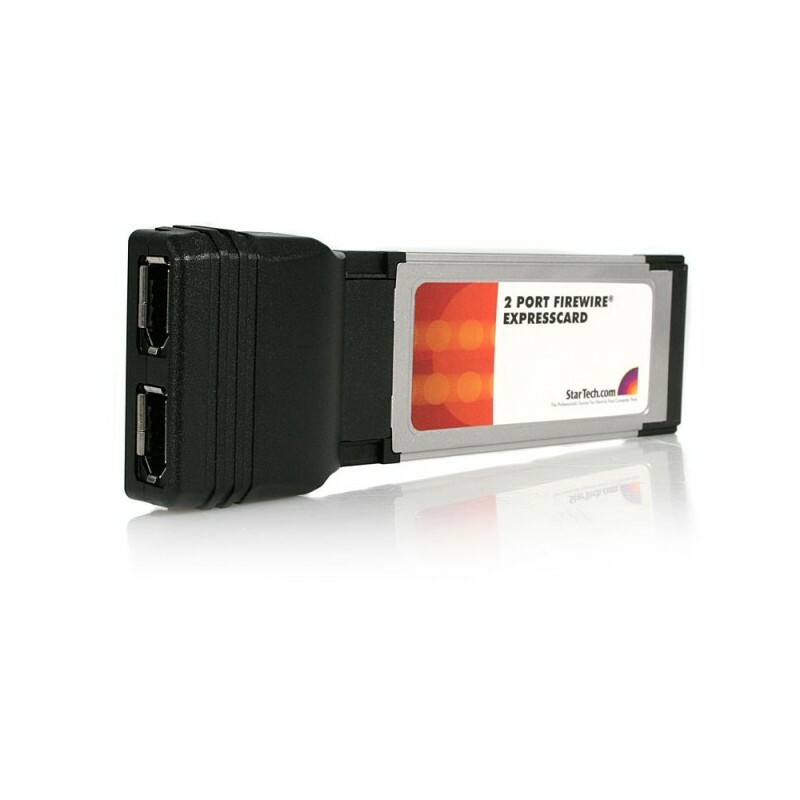 The EC13942A2 (2 Port) ExpressCard Laptop 1394a Firewire Adapter Card provides a stable platform for virtually any FireWire 400 device connection. Ensuring seamless operation with peripherals connected through FireWire 400, the ExpressCard 1394a FireWire Adapter supports data transfer rates at up to 400Mbps - an ideal solution for connecting FireWire-capable multimedia devices, editing multimedia content or simply transferring large volumes of data from a computer to FireWire-connected external storage.As an added convenience, the 2-port FireWire card is packaged with a FireWire cable. 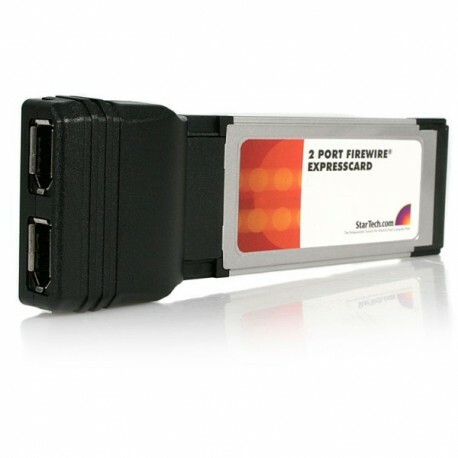 This 2 port ExpressCard IEEE 1394a FireWire 400 Laptop adapter card is designed to fit a 34mm ExpressCard slot and is backed by a StarTech.com lifetime warranty.